This site is an ongoing project and new/updated items are added from time to time, so BOOKMARK us and stop by often. Thank you and we hope you enjoy your visit! 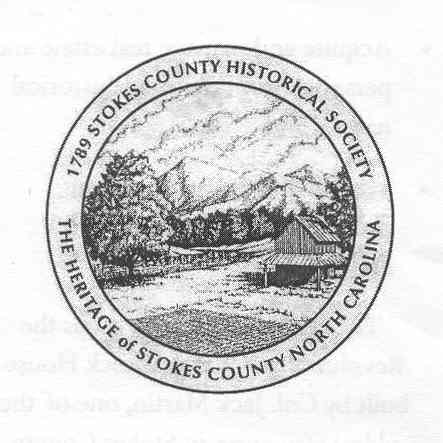 The Stokes County Historical Society was established in 1968, as an all volunteer orginzation to preserve the history of Stokes County in the State of North Carolina. We are a 501(c)3 non-profit organization with no federal, state or local funding. Our funding is limited to membership fees, individual donations, as well as, two limited foundation grants. We have grown over the years, obtaining three historical properties, including the circa 1850s Wilson Fulton House, which is now The Stokes County Museum of Regional History, the circa 1770 Jack Martin "Rock House" and the 1905 Bank of Stokes. The SCHS helped to establish the Gypsy Hollingsworth Local History Room in the Danbury Library and published Volume I and Volume II of The Heritage of Stokes County, as well as other historical publications. We welcome new members and encourage you to join our efforts to preserve our history. We have four to six historical programs each year which are held in different locations around the county, and host four to six open house events each year at the museum. Please check our Program Notes page for the schedule of events. Our programs are free and open to the public. To receive our newsletters, published five to six times a year, please support us by becoming a member. Memberships are $20.00 per household each year (January - December). Complete the form below and mail with a check for $20.00 payable to SCHS, to PO Box 304, Danbury, NC 27016. Or you may contact us by email (stokescountyhistoricalsociety@yahoo.com), and mail your check separtely to the address above. The Stokes County Historical Society is a Non-Profit Organization 501(c)3. Stokes County (North Carolina) was formed in 1789 from Surry County. It was named in honor of Captain John Stokes, a soldier and hero of the Revolution (for more information see Trivia page). Stokes County is in the north central section of the State and is bounded by Rockingham, Forsyth and Surry counties and the state of Virginia. When Stokes was taken from Surry County the old courthouse, in Old Richmond, was ordered to be sold, and the proceeds were to be equally divided between Surry and Stokes and applied towards the erection of new courthouses. The first court in Stokes was ordered to be held at the home of Gray Bynum in Germantown (Germanton) and all subsequent courts were to be held where the justices designated until the courthouse could be erected. Commissioners were named to select the site and have the public building erected. In 1790 Rockford was chosen to be the county seat of Surry County and Germantown (now known as Germanton) was chosen to be the county seat of Stokes County. Germantown was laid out on land deeded to the county from Michael and Henry Fry. Germanton remained the county seat of Stokes County until 1849 when Forsyth County was formed from Stokes. The act establishing Forsyth County directed that the first court of Stokes, after the passage of the act, be held at Germanton, at which time the justices were to determine a location for the new courthouse and jail. In 1849 the new county seat was chosen in what locals referred to as Danbury. Confusion was created with the name of the new county seat when the General Assembly selected the name "Crawford." In 1852 a resolution was passed to offically name the county seat Danbury at the request of Stokes County citizens. This is a photo of the restored circa 1854 Wilson Fulton house in Danbury NC, the county seat of Stokes County. After much hard work and perseverance the Stokes County Historical Society transformed the house into a Museum of Regional History for the county and surrounding area. Many artifacts and historical pieces have been donated to the museum. To view some of these and for more information and photos click the Museum of History link at the top of the page. 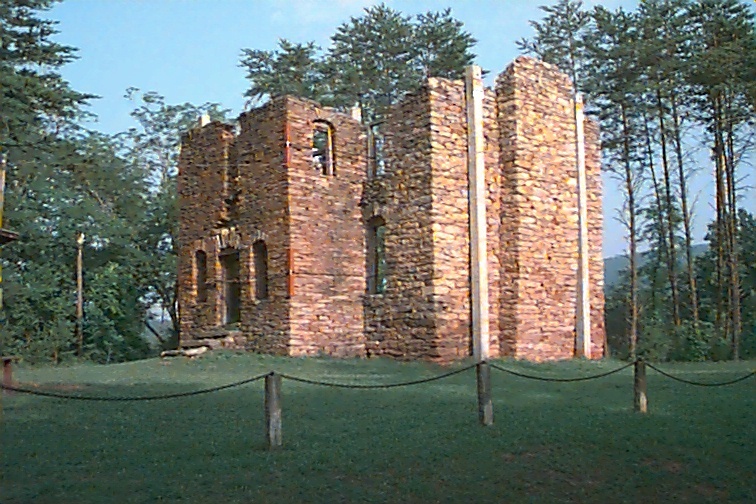 The Revolutionary War-era Rock House, built by John "Jack" Martin, is owned by The Stokes County Historical Society. It is one of the oldest structures in Stokes County. The foundation was laid in the 1770's and the house was finished ca 1785. It is listed in the National Register of Historic Places. For more information and photographs click the Rock House link at the top of the page. The material contained in this Website is protected by copyright. No permission is granted or implied for it's reproduction. Links are provided solely for the convenience of the user and are governed by their respective Websites. Commercial use is strictly prohibited.